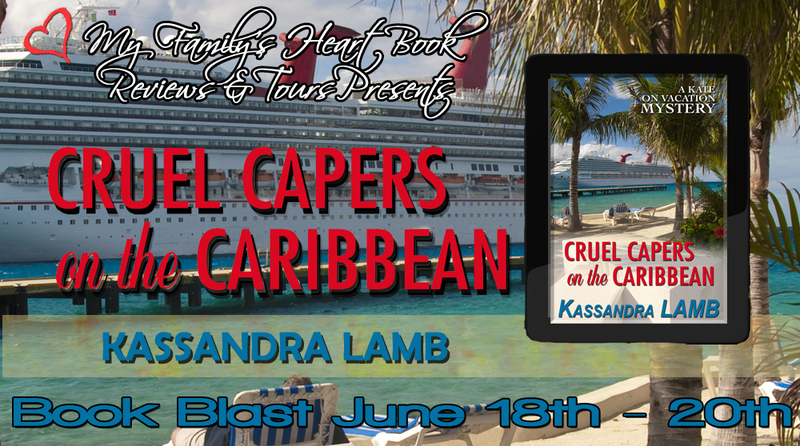 Cruel Capers on the Caribbean is on a whirlwind three-day Book Tour. With a contest! Here are a few of the stops with some rave reviews and character bios. 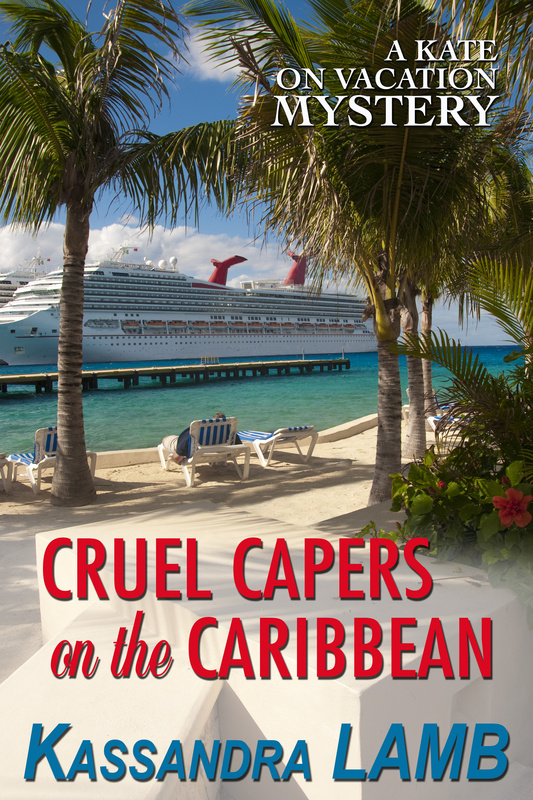 CRUEL CAPERS on the CARIBBEAN, the second Kate on Vacation novella is now live on Amazon and other retailers. Travel vicariously as you and Kate and the gang try to solve a locked-room mystery! 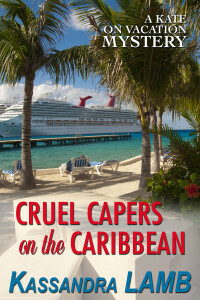 Trouble seems to find Kate Huntington, even on a Caribbean cruise. She and her friend, Liz, befriend socialite Cora Beall, who is having relationship problems. When Cora is found dead, her cabin locked from the inside, the ship’s captain assumes it’s a suicide. Kate is skeptical. Her private detective husband begs her to let it go, but the evidence points more and more toward murder. And she can’t stop thinking about Cora’s teenage daughter who is back in the States with her stepfather. Which is worse, thinking your mother committed suicide or being raised by her killer? Or is Cora’s seemingly-innocent, screenwriter boyfriend the real murderer? And the toughest question of all… how did Cora’s killer get out of a locked room? Just $1.99 on AMAZON, BARNES & NOBLE and KOBO. Official launch date is June 17th, and I have a Book Blast scheduled on several book blogger websites for the 18th through the 20th!